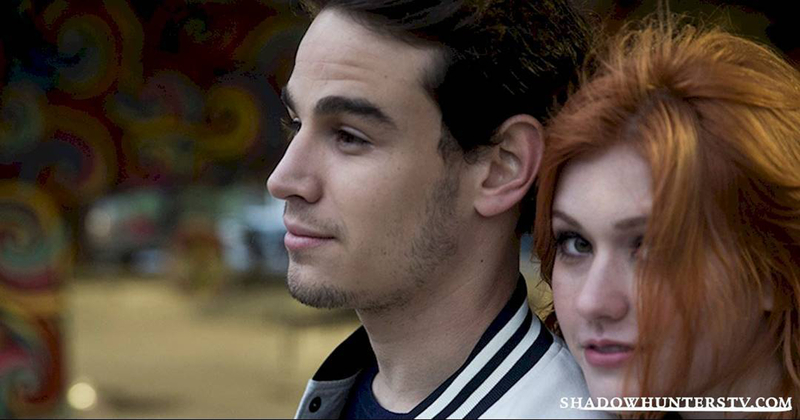 Simon and Clary. . HD Wallpaper and background images in the Shadowhunters TV Zeigen club tagged: shadowhunters tv series photoshoot katherine mcnamara clary fray simon lewis alberto rosende. This Shadowhunters TV Zeigen wallpaper contains porträt, kopfbild, nahaufnahme, portrait, headshot, and kopfschuss.